The meat products company REKOR, was founded in 1968 and since then offers nonstop its services to the consumer at the manufacture of meat products. Remaining faithful to traditions but also harmonized in the demands of present time, REKOR always trying to succeed the best. 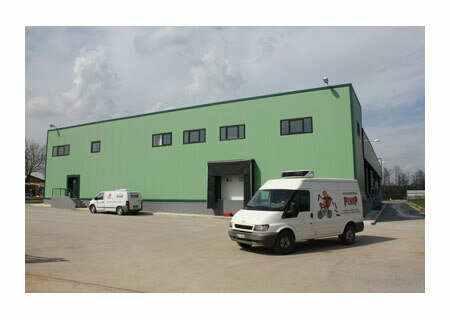 At first the company was housed in a building 250 sq.m. in the region of Harilaou, Thessaloniki. From there, it began to be active in the production of meat products like sausages and slowly make its name known for its quality products. In 1995 moved to its own building 700 sq.m. at the 22km of N.R. Thessaloniki-Serres near Assiros Thessaloniki. Towards the end of 2008, because of the consumer’s preference, REKOR moved to a more modern building with high-tech equipment 1700 sq.m. near the old one. The experience in meat products, the excellent quality and the outstanding taste have made the company CHARITOU ILIAS - LILIS IOANNIS C.O. widely known in the market of Northern Greece. In recent years the company has also been active in the marketing of dairy and others groceries. Copyright © 2011 Meat Products REKOR. All Rights Reserved.